A selection of Elizabeth’s work is currently for sale at the award winning eatery The Guardhouse at Berry Head near Brixham, Devon. Elizabeth’s artwork appears on FreeTone Records both for the site header and for CD covers. 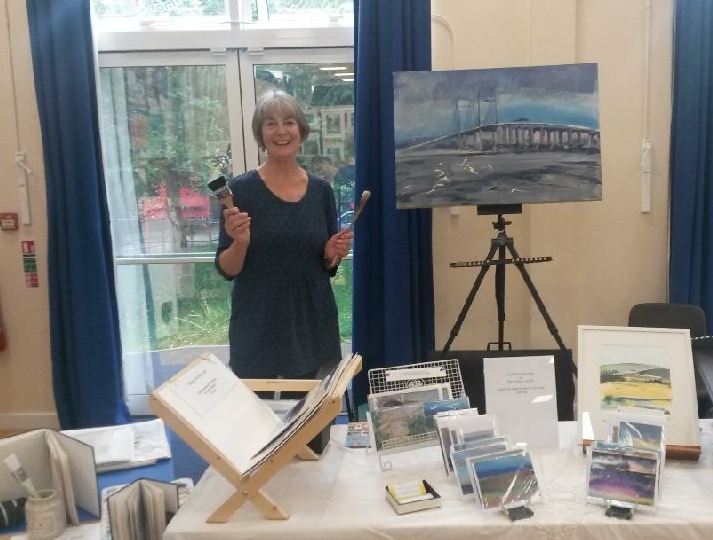 Elizabeth at the BS9 Art Trail 2018 in the Westbury Primary School venue.